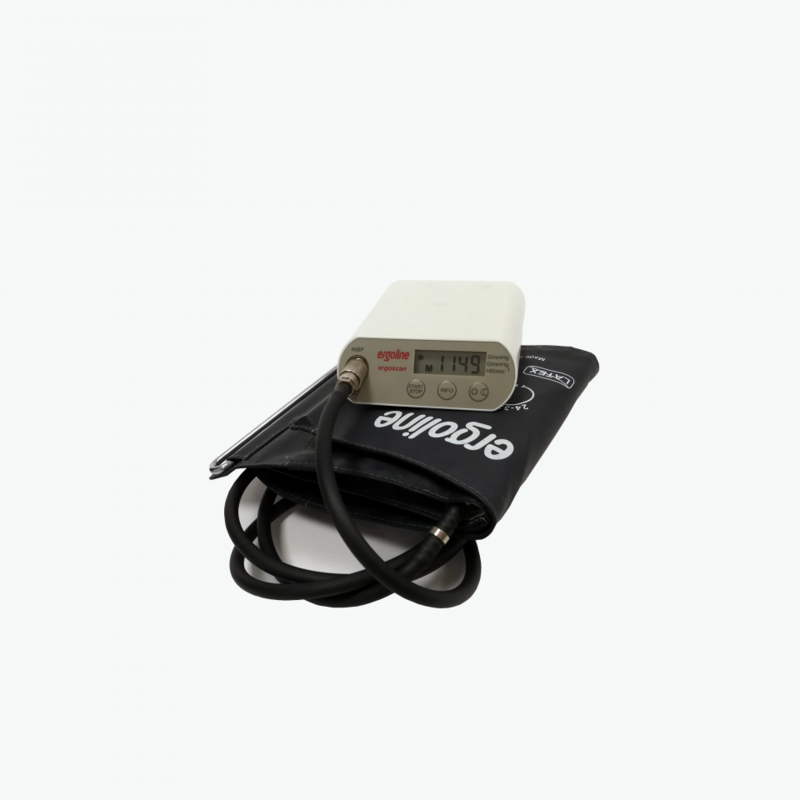 Ergoline ERGOSCAN is a blood pressure monitoring Holter using the oscillometric measuring method. Ergonomic design and light weight (only 190 grams, incl. batteries) ensure patient comfort during the whole test. The intuitive Ergoscan software facilitates the device configuration and the downloading of data. The software offers different display formats and analytical tools aimed at medical reporting, in order to maximize data processing and results’ evaluation. In addition to the graphic display of systolic and diastolic blood pressures and heart rate, all measurements and results can also be displayed in digits in preconfigured charts. The Ergoline ERGOSCAN offers several functions, like configuration day/night and the setting-change option operated by the patient, for instance by adding measurements or displaying more recent data. This device contains two AA rechargeable batteries and can monitor the blood pressure trend in a time frame of 24 hrs. or 48 hrs., depending on the medical prescription. Ergoline ERGOSCAN is legally certified and recognized by Italian Ministry of Health as class IIa medical devices.